This is the most powerful fundraising initiative we’ve ever launched. We don’t need your money, we just need your power! You can make a real difference for New Zealanders by making the switch. We have partnered with Community Power to bring you this incredible way to donate to us at no cost to you. Community Power is a Social Enterprise company that shares the profits it makes with us when you buy from them. We all must buy our electricity from somewhere right? Well now when you buy from Community Power a share of the profits Community Power makes from your account will be donated to us. You never pay any more than you pay now, you may even get to pay less. And the best part is your donation is ongoing, not just a one off. Community Power is an innovative and approved electricity retailer, just like the big electricity companies but without the big overheads. Only now when you buy from Community Power you will be raising funds for Melanoma New Zealand whenever you use electricity in your home or business. This business model is called Social Enterprise or sharing, its a new way of doing business that can help us, help our members. 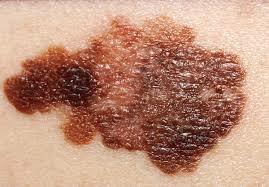 Then you get to donate a share of the profits Community Power makes from your account to Melanoma New Zealand. And and it won’t cost you a cent. To see how much your donation would be simply email a copy of a recent bill to Community Power for a free, no obligation quote. You can do this online now by clicking here Request a quote and attaching a recent bill. Melanoma spotted early can be successfully treated by surgery and if a melanoma is discovered when it is less than 1mm thick, the outcome is excellent. 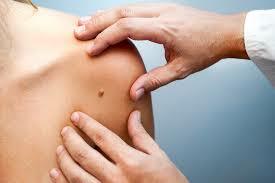 The first sign is often a change in the size, shape or colour of an existing mole, or the appearance of a new mole. Start by checking your entire body, including skin not normally exposed to the sun. You could ask for help from someone else to check difficult-to-see areas, such as your back, neck and scalp. We recommend that you follow the ‘Ugly Duckling’ rule. The idea behind the Ugly Duckling rule is that you compare your moles with each other. If any mole stands out or looks different from that of nearby moles, it is the ugly duckling, and we advise you contact a doctor to get an expert opinion. NO, once you say “Yes please switch me” we do the rest. Other than proving us with a few details to set up your account thats all you need to do. Transpower manages the national grid and purchases electricity from the generators throughout the country according to the demand from consumers and the availability of water throughout New Zealand’s Hydro storage system. Our aim is to improve the lives of real people in our communities by giving you the opportunity to donate and help others from money you are already spending, without it costing you anymore than you are already paying. You may even pay less and save some money yourself. We do this by being an approved, electricity retailer, able to supply electricity to households and businesses throughout New Zealand. Yes just like the big power companies, but without the big overheads. We use these savings to enable you to share the profits we make from your account with your community. Simply switch your electricity to Community Power and your donation will start accurring right away. You won’t pay any more and you may even get to pay less.